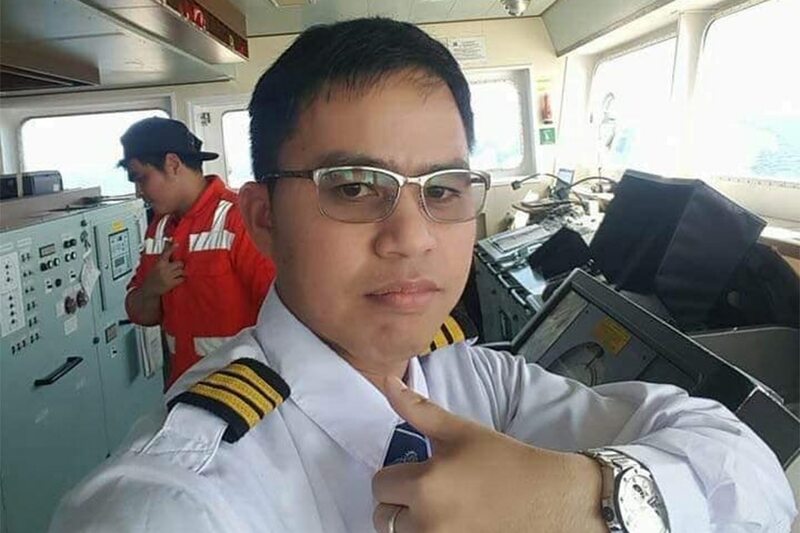 CAGAYAN DE ORO CITY - The Philippine Coast Guard in Northern Mindanao is continuing its search and rescue operation to find a seaman reported missing since January 15. Dominador Fuentes III, 33, was nowhere to be seen in the MV Grande Progreso around 3 p.m. that day, according to the PCG, quoting information from the captain of the vessel. MV Grande Progreso is a cargo vessel carrying iron ore from Brazil and is around the vicinity of Laguindingan coast waiting for docking at the port of Philippine Sinter Corporation in Villanueva, Misamis Oriental. "Ang ginawa nila sinearch ang buong vessel top to bottom, left to right, lahat po talaga wala pong nahanap. Kaya dun po nila na-confirm at then naisip po nila baka nahulog po or na-off siya sa barko," said ENS Jherich Ybañez, Spokesperson of PCG Normin District. Hours before it happened Fuentes was able to inform his family that he was promoted as a chief mate. That is why they were suspicious on the angle that he jumped off the vessel. "Gusto namin makita or malaman ano ang nangyari na ka po-promote lang niya yung araw na yun as chief mate tapos biglang nawala? Yung po ang nakakapagtaka bakit siya nawala na nandito na sana siya sa Pilipinas," said Nelly Fuentes, the seaman's mother. The family has sought the help of the National Bureau of Investigation, hoping that the vessel won't leave the Philippines until the case is solved. The Philippine Coast Guard also informed the coastal communities along Misamis Oriental to report any signs of Fuentes.